The law firm of Coleman Jackson, P.C., helps foreign investors explore options for coming to the United States. There are several visa options for investors. Knowing which one is right for you can be difficult. 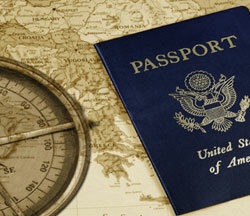 It is advisable to talk to a U.S. immigration attorney to learn about your specific options. To speak to a Texas foreign investors' visa attorney, please contact us online. Otherwise, read the information below for information about immigration options for investors. Foreign business owners who are looking to expand their business in the United States may be able to obtain an L-1 visa for foreign investors. This visa is used both for intracompany transfers as well as executives looking to expand an existing business in the U.S. There are certain requirements that must be met in order for an individual to obtain an L-1 visa for investors. He or she must have been employed by the company for at least one out of the last three years. If a new business is going to be opened in the U.S., it is necessary to show that a location for the business has been secured. Additional requirements can be discussed with an immigration attorney. One of the primary purposes of the EB-5 visa is to attract foreign investors to the United States. The thought is that more investment in the United States will lead to job creation. Individuals seeking an EB-5 visa must meet specific requirements. A certain dollar amount must be invested in the United States. The investment must lead to at least 10 new jobs. Discuss additional requirements and your specific options with an immigration lawyer. Individuals looking to come to the United States to control a substantial investment here may be able to come through the E-2 visa for investors. Only individuals from treaty countries seeking to control a substantial investment can obtain an E-2 visa. Every two years, the E-2 visa must be renewed. Talk to an attorney for more specific information about this immigration option for investors. If you are interested in learning more about visas for investors in the United States, please call 214-599-0431 or contact a lawyer online.